It would have been easy for the Harry Potter movies to be content with repeating some of the better moments of the first movie and not developing the story too much but even with their first sequel, the movie feels different, fresh and offers much more than the first. 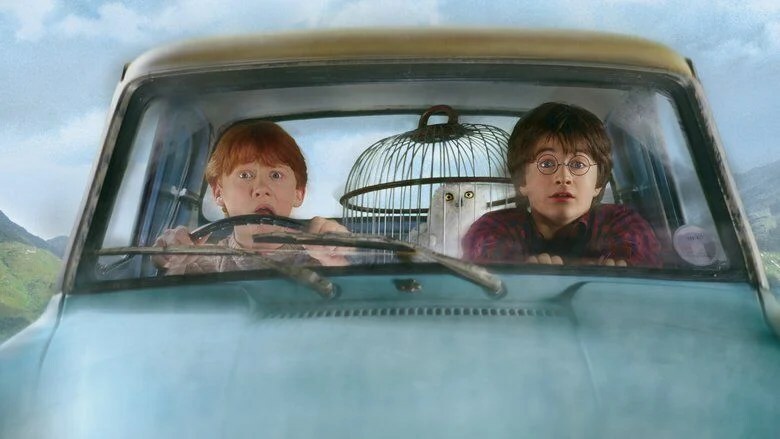 For starters, even getting to school is not as easy for Harry Potter, who must contend with fan-favourite Dobby, a flying car and an angry tree before he even gets into the school. Once Potter has entered the always fantastical Hogwarts, the film offers as much wonder and delight as the first movie did. There is all the creative moments in the different classes, from screaming plants to a swarm of angry flying creatures but this time there is also a decent story running throughout too. 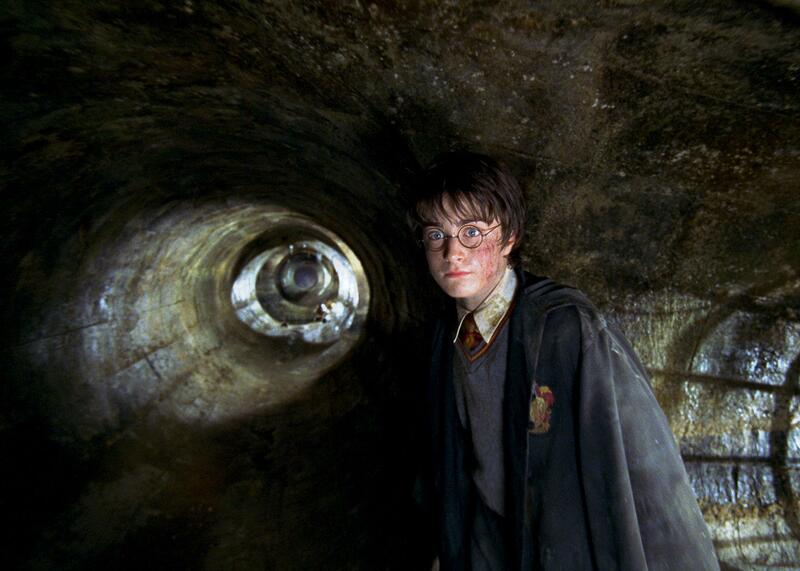 Where the first film lacked a coherent, threading plot, The Chamber of Secrets is itself a decent story for the characters to become immersed within. It is a story with a good central mystery, some credible threat and a resolution which actually starts to make some sense. It is also quite a darker movie compared to the first and the signs of the series shedding it’s more childish elements is demonstrated here. From messages seemingly written in blood, graphic injuries and in one of the scarier moments, a car chase from an army of spiders, there is plenty to keep audiences on the edge of their seats and children firmly hidden behind their parents in fear. It all leads to a pretty impressive finale which manages to outdo what ended the first movie easily. The film also builds on the great, already established cast. Alongside the British favourites like Maggie Smith, Richard Harris and Julie Walters, as well as the central trio of Daniel Radcliffe, Emma Watson and Rupert Grint, there is a new addition with the excellent Kenneth Branagh. Branagh plays Gilderoy Lockhart, a famous wizard celebrity and his vain, self-centered charm adds some great humour to the movie. Even the younger cast have started to develop their acting further. Grint can deliver a comedy line very well, Watson makes exposition interesting and Radcliffe handles the much more dramatic aspects of the movie with ease. The cast are beginning to hold their own alongside the more experienced actors like Robbie Coltrane and Alan Rickman. That isn’t to say Chamber of Secrets is perfect. It still has an issue with being slightly too reliant on prior understanding in places. Some elements of the story feel under-explained and there are points within the finale that seem to rely too much on “magic,” like writer JK Rowling didn’t have the necessary device for getting her hero out of trouble. As with the last, it needs a Richard Harris/Dumbledore explanation for everything to become clear. 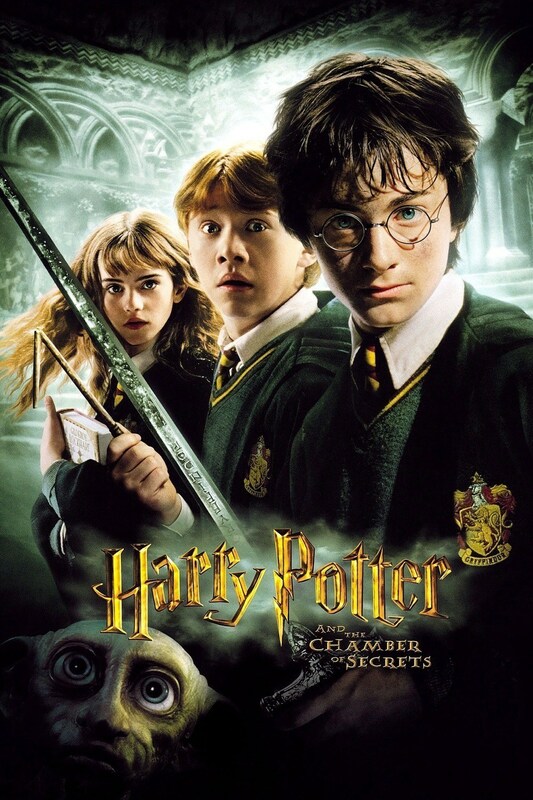 Overall, Harry Potter and The Chamber of Secrets takes the best aspects of the first movie and builds upon them very well. It is a darker tale, with some genuinely scary moments and a villain worthy of a dramatic finale. The cast have improved and added great new additions but the story still suffers from a far too neat and tidy conclusion in the finale.